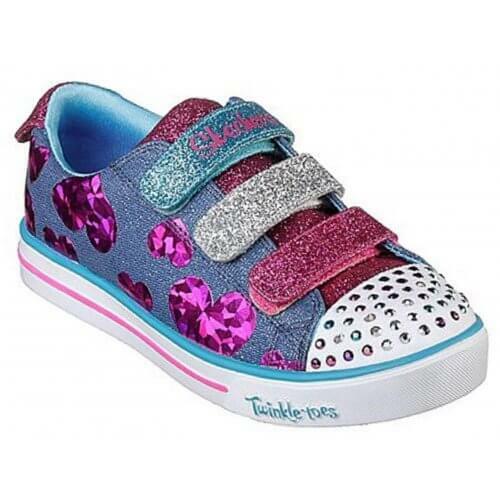 Skechers Flutter Fab 20051L is a girls canvas shoe, part of the Skechers Twinkle Toes range. 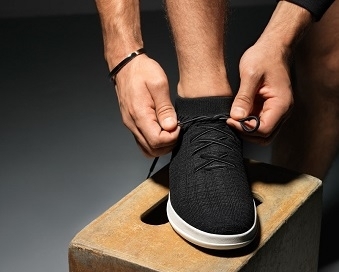 It features a woven canvas fabric upper with a shock absorbing lightweight midsole that helps to lessen the impact of every step. 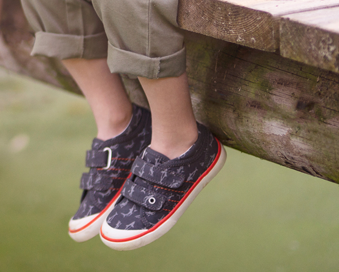 The three Velcro straps allow for adjustability while still maintaining a secure fit. Metallic heart designs, with the light up toe cap adds a touch of fun to this every day canvas shoe. Step into style with Skechers Flutter Fab 20051L.